This is the last of the photos from my Vegas trip a week and a half ago. 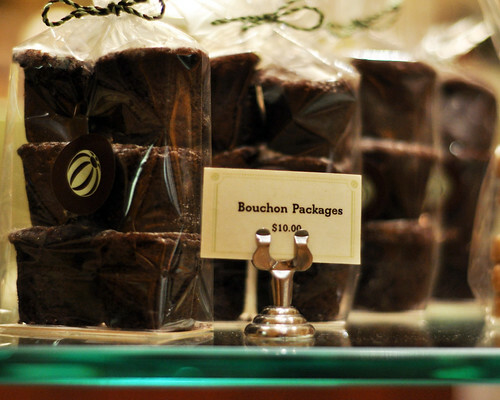 We stopped by the Bouchon Bakery before we went to Jean-Philippe. This little kiosk looking bakery was unbelievably hard to find. 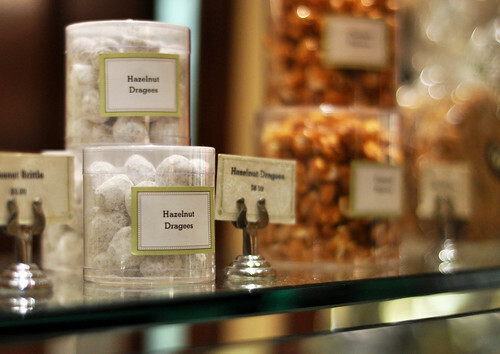 It was in a completely different location than where the Bouchon Restaurant was in the Venetian. We almost walked right by it. 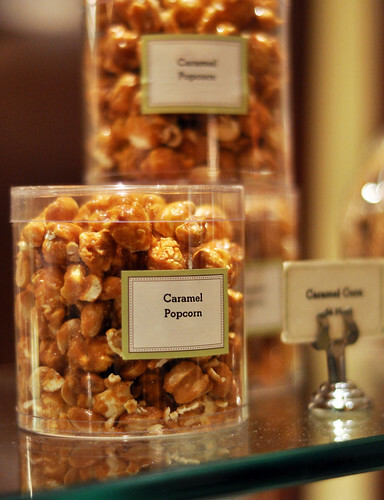 Since we had just left the Grand Lux Cafe and were incredibly stuffed and soon were on our way to Serendipity, I wasn't quite up to spending serious cash on the items that the bakery had. 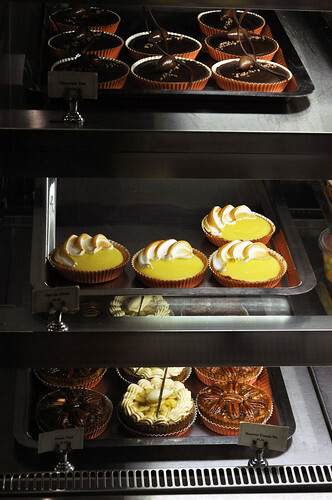 One thing that stops me when I have these opportunities to try these amazing desserts is the lack of cash. I still don't know how to balance my love of sweets with the tight flow of cash AND trying to lose weight. If anyone has any suggestions.. I'm all ears. 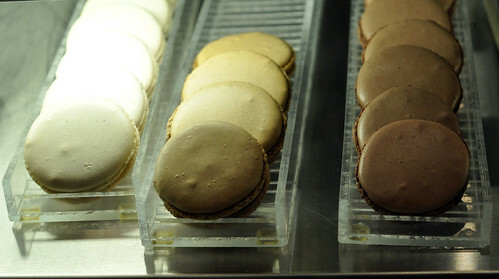 I did get one of their famous macarons. 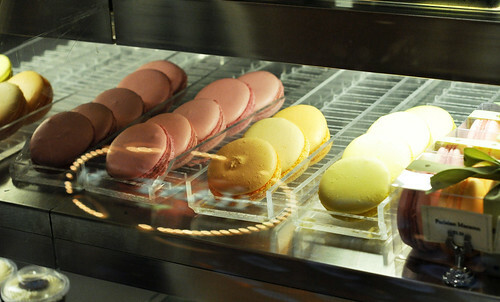 When I had asked the counter person what they recommended they suggested the vanilla bean macaron. It was $3.50 for one that was about half the size of my BlackBerry. A good size but $3.50??? Wow. This had BETTER be good. Yes... it was absolutely delicious. Not too sweet.. crunchy but chewy at the same time and the perfect amount of vanilla flavor. I had to eat it on the go so no photos of me eating it but I practically inhaled it so there wasn't any time anyway. I was watching that show on the Food Channel called The Best Thing I Ever Ate and the episode was on Guilty Pleasures. 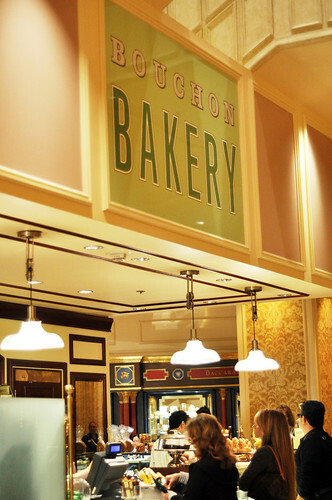 It just so happened that one of the places featured was the Bouchon Bakery. Their quiche was a featured guilty pleasure. 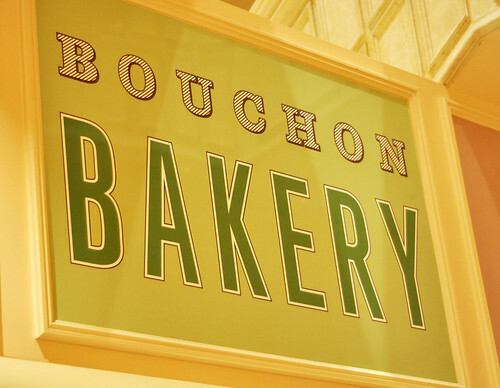 I don't remember seeing a quiche at this Bouchon Bakery but I will definitely have to try it given another opportunity. After buying our first batch of BB macarons in Yountville for the then-girlfriend, I swore I'd never drop $3.50 for macarons again. And I haven't. But at least we're married now, so that was worth the splurge. Haha!! If I can only drop $3.50 and land a husband... that would TOTALLY be worth it!!! We should switch places, Rosa, because I'd LOVE to be where you are right now!